We know him as the guy who sang 'Julie'. That song that lit up the clubs from Volar Lagos to Crystal London. There was something just so infectious about that track! Now the question is, can the artiste known Shank - real name - Chinedu Naze make lightening strike twice? Over a year after 'Julie' was released, Shank is unleashing his debut album 'King Kong'. 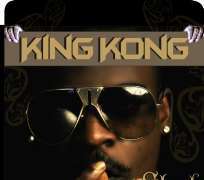 Considerable time, effort and financial resources have gone into this album, heavyweights including international superstars Akon & D'Banj have been brought into the mix. Critics and fans are very curious about the result, now its left for you to decide. Is Shank the King of the Kong?